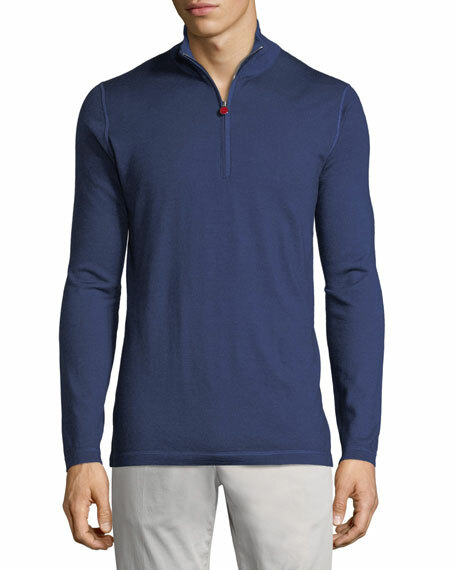 Kiton sweater in solid knit. 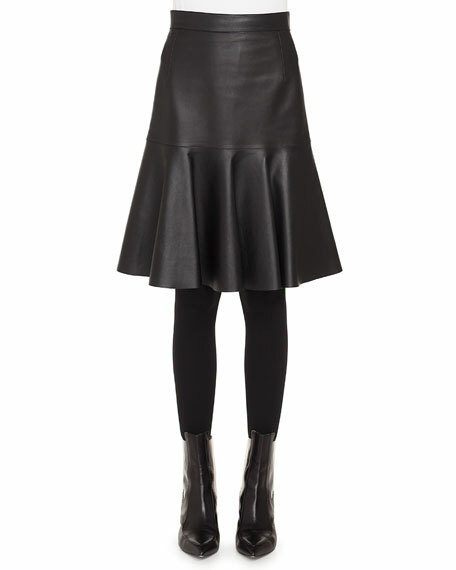 For in-store inquiries, use sku #2280135. 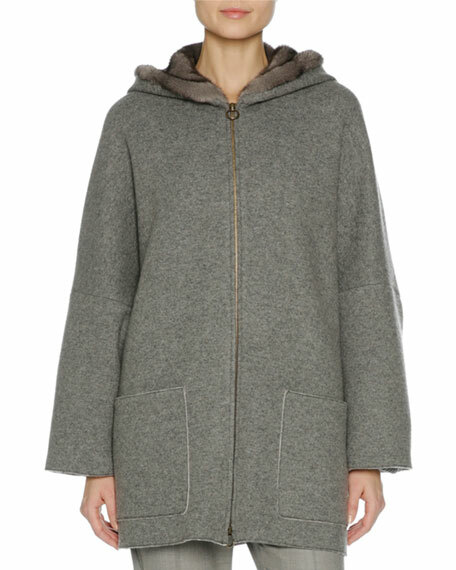 Agnona cashmere hoodie jacket. Hooded neckline with dyed mink (Denmark) fur lining. Zip front. 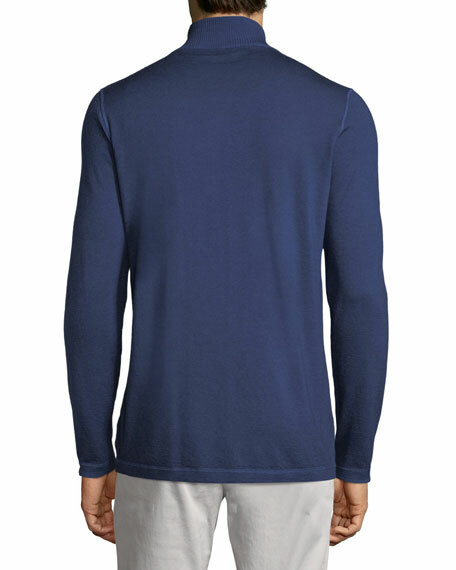 Long sleeves; dropped shoulders. Side patch pockets. Relaxed silhouette. Made in Italy. 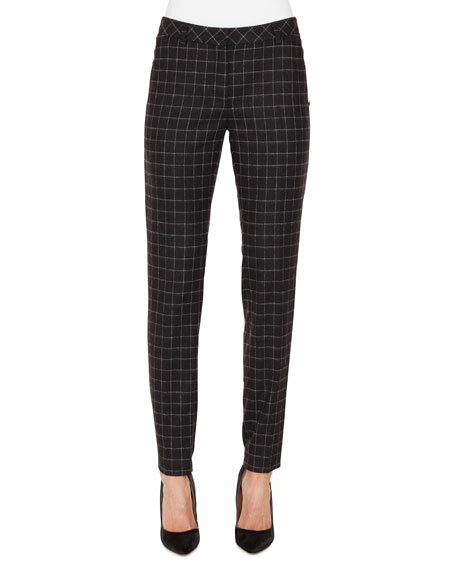 Akris "Melvin" pants in marble-tile flannel wool. Mid-rise; flat front. Side zip pockets. Slim fit; skinny legs. Lining, viscose. Imported of Italian materials. 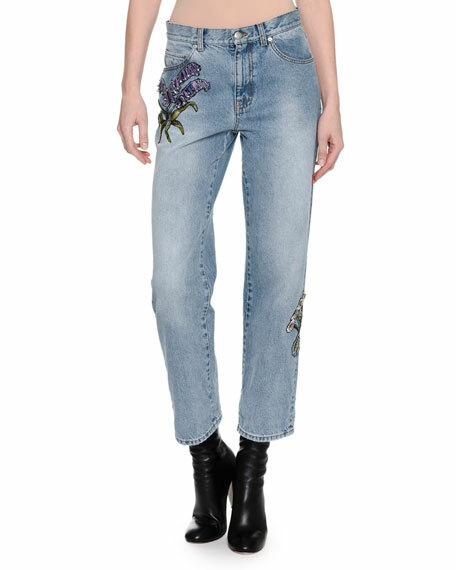 Alexander McQueen denim jeans with floral embroidery. Five-pocket style. Regular rise. Straight legs. Cropped hems. Button/zip front; belt loops. Cotton. Made in Italy.